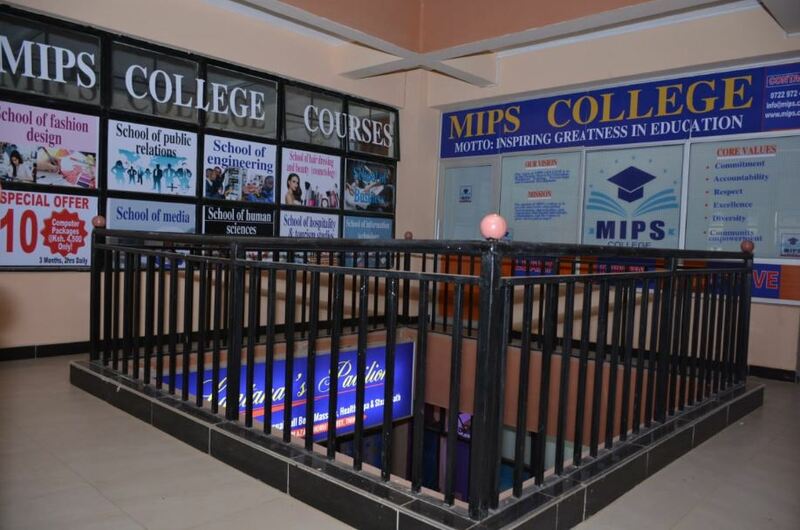 “At MIPS lectures are driven by one thing in common, the desire to empower the society by equipping students with requisite skills needed in the job market,” he said adding that it’s a constitutional right for every child in Kenya to get a quality education without discrimination. Mr. Maina has called on the ministry of education to take action on the institutions that break education laws. He called on the ministry to ensure that not a single student is denied a chance to join University or colleges due to lack of school fee. Last month the institute offered 50 needy students free scholarships to pursue diploma courses in different related fields. Mr. Maina said the scholarships were worth 4 million. He called on the ministry to facilitate private-public partnerships to ensure exchange of programmes. Based on the 2018 KCSE results, the ministry states that 651,189 candidates qualified for placement to tertiary institutions at various levels under Government sponsorship. Of these, 90,744 attained a mean grade of C+ all qualified to join local universities. In addition, 244,436 who scored D and D+ in the 2018 KCSE are eligible for placement 2 in Craft Certificate Courses in TVET institutions while all 194,721 who scored between E and D– in the examination are eligible for selection to Artisan courses in the existing 800 Vocational Education and Training (VET) institutions. In 2017, 12,656 students were placed in private universities. An analysis of the enrolment data shows there are students who opt to transfer from public to private universities to pursue various programmes under government funding. Transfers from the public to private universities were attributed to better facilities and competitive programmes in private institutions. Public universities were blamed for cases of missing marks and strikes.